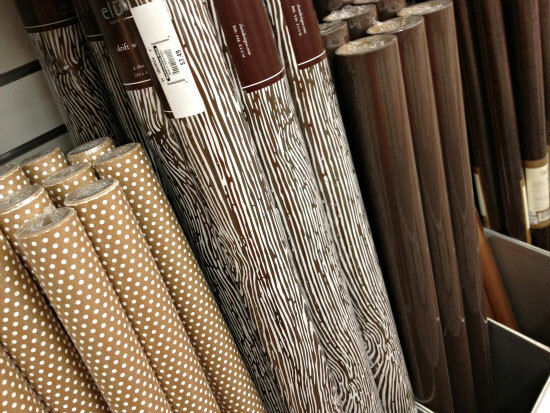 Whenever I work on a drawer organizing project, I love to take it a step further and add in some decorative paper. 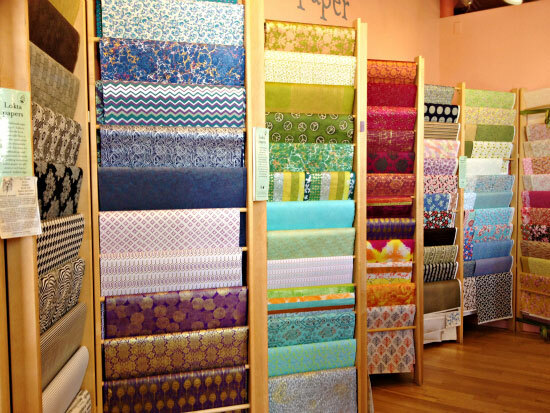 So, I thought I would share a little more about that process, how I select what to use and then take you on a little shopping trip for some really pretty papers that will leave you color happy! Why do I line the drawers with decorative paper? Whether or not someone should or shouldn't line drawers can be argued until the end of time, so I just say it's a personal preference thing. Some argue there are benefits, others will say that it is more for aesthetics. I lean towards the latter of the two, but I really am not an expert on the subject. I do it because I think it's a happy surprise when you open the drawer. It makes it look nicer, it can cover ugly markings in older cabinets and drawers, it adds color, when using clear drawer dividers it looks pretty showing through and it can protect painted surfaces. What do I use to line the drawers? It all depends on what and where I am lining the drawers. 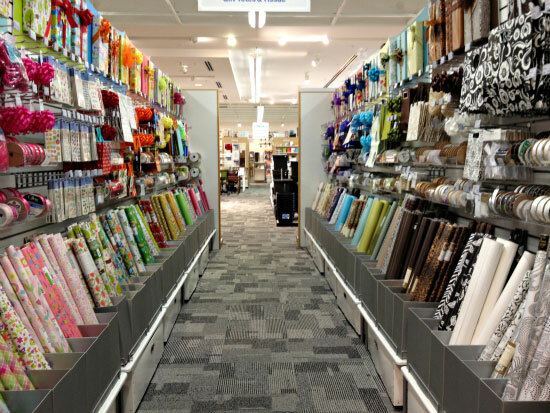 In the kitchen or bathroom, I typically use shelf liner which is made specifically for the purpose of lining cabinets and drawers and shelves. It is easy to remove and easy to clean in messier or humid spaces. I also obtained some free leftover wallpaper from a friend and used that to line some drawers in the kitchen, and it also worked out just fine, since it can be washed without ruining the surface of the paper. 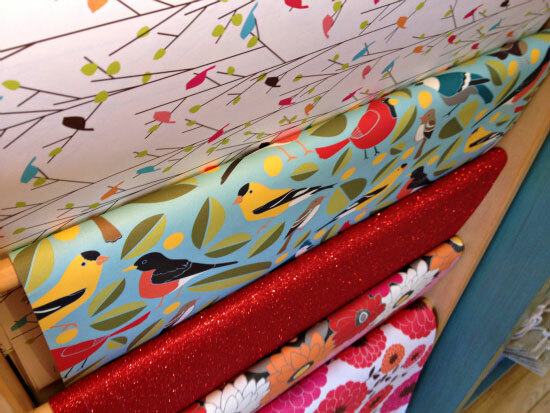 When working with dressers or office spaces, I like to use anything from scrapbook paper to wrapping paper or even fabric. Although it can't be wiped down with a damp cloth since the paper is more fragile, it still can be dusted and vacuumed for a long period of time. 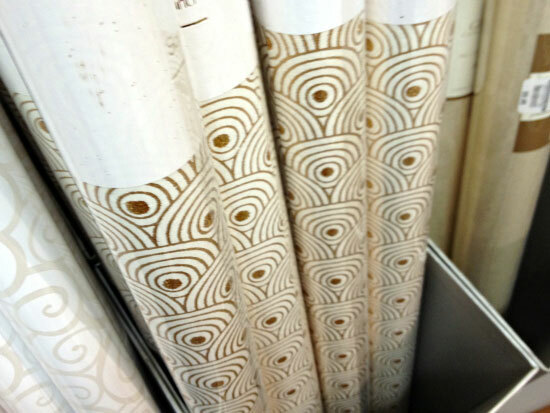 How do I install the decorative paper? Once again, this has varied as I have played with a few options. The first step is to always measure the inside of the drawer, and then measure the paper and cut it. I have lined the drawers by using spray adhesive and double sided tape. Both have worked well, I have not tried removing the paper with either of those methods, so I am not positive of the long term impacts yet. I would guess you could also just use small pieces of tape or nothing at all if you want to be sure there are no permanent effects from the process. Again, standard shelf liners also come ready to stick, and always pull back up leaving your surface as though it was never there at all. 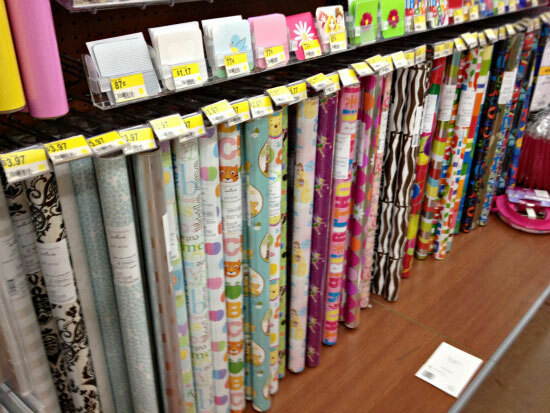 Where do I purchase my wrapping papers? This seems to be the real question. I receive numerous questions and emails about where I purchase my pretty papers, so I thought it would be fun to snag my iPhone and go check out a few local shops in person, and share all the lovely papers that caught my eye. The places I selected to stop at, were all local and some also have options on the web, since the point is to share papers that can be accessible to most. 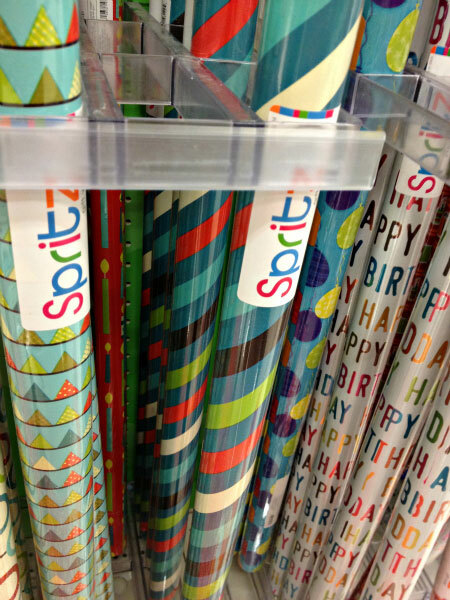 Since wrapping paper is the least expensive and the most versatile, that is where I focused my attention for this trip out and about. 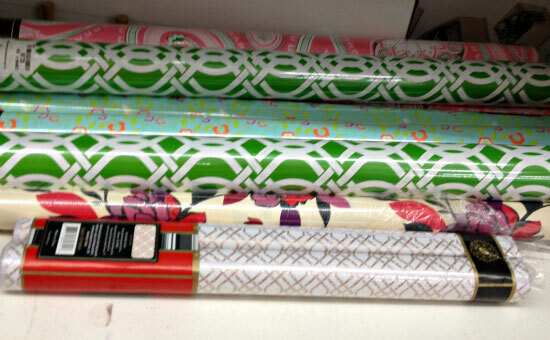 My first stop was my favorite store of all and where I always find majority of my wrapping papers: Target! In fact, the pink and yellow papers shown in the first photo above were both purchased at Target. Love. That. Store! 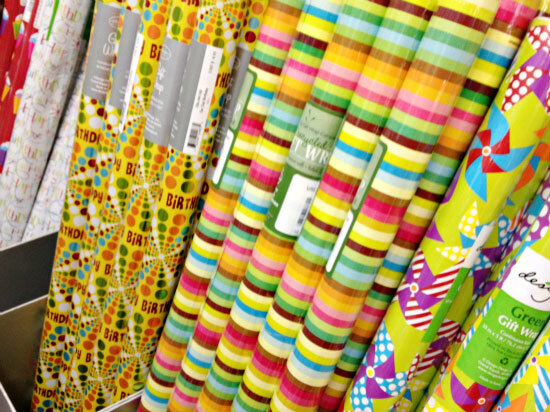 Wrapping paper ranged from $3-$5 and they have a variety of colorful options an patterns! 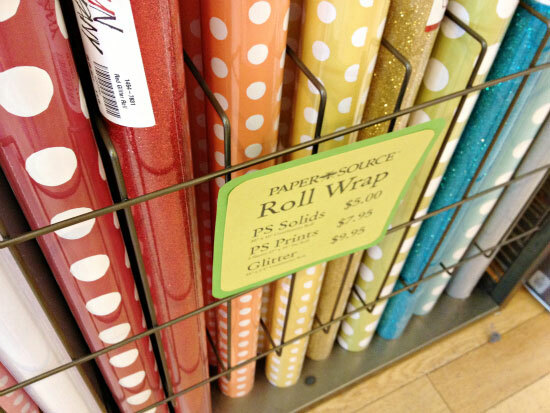 Most of their papers are in the gift wrap isle, but don't forget to also check their end-caps! Another store many have access to is Walmart, so I hopped into one of those quick as well. I know that not everyone has access to The Container Store, however, sine they stock all of their papers online as well, it was worth it for me to drive there and check things out in the flesh. Twist my arm right? 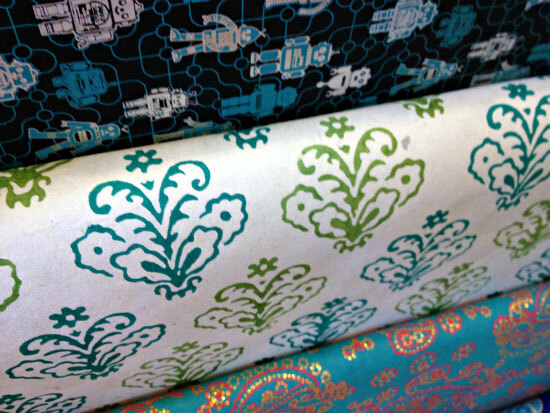 They actually have quite an abundance of pretty papers, and many of them caught my eye, one you may even recognize as something I have used in my own home in the past. Shown above are their pricier, more delicate options. Gorgeous right?! Everything in this store is frame worthy art! Or entire rolls for larger projects! 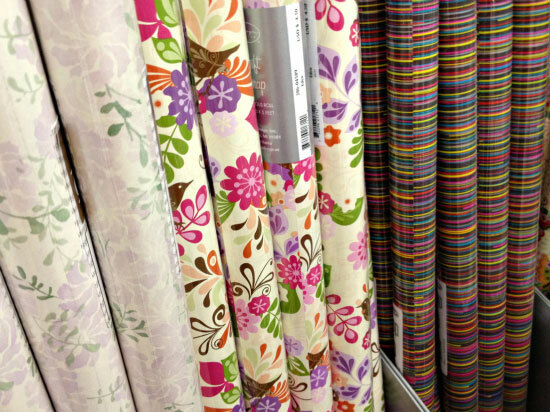 Their prices are a little steeper than Target, Walmart and even some of The Container Store's papers, however, their selection, quality and fantastic patterns were far better than any I had seen anywhere. One my way home I remembered that I had found some great MacBeth Collection shelf liner at a TJMaxx or Marshalls, so I hopped into one quick to see what they had on hand. 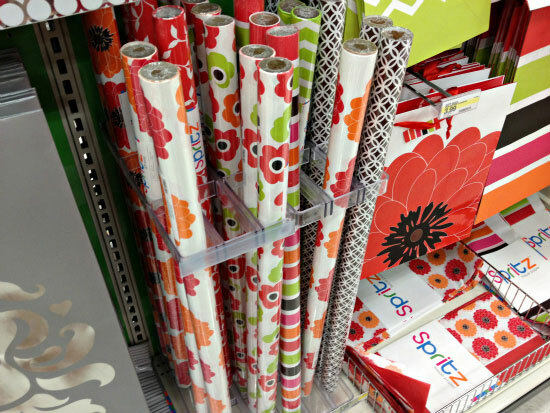 The two pack of shelf liner was priced around $6 and the wrapping paper was around $3. 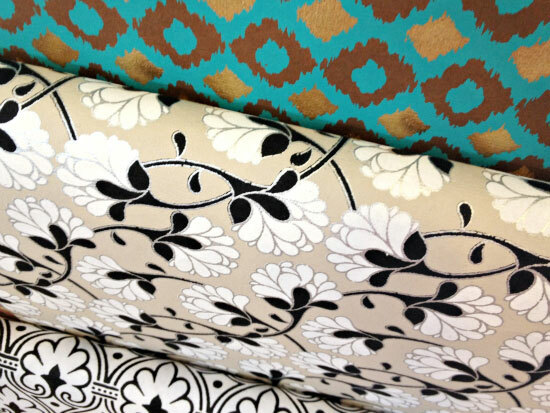 Although the selection was minimal at the store I stopped at, the patterns were fabulous! Only to stumble upon some extremely cheerful papers! So there you have it! That's a wrap on wrapping paper! 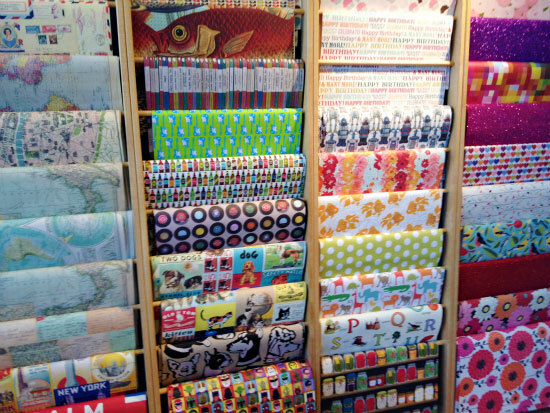 Who else is a drawer lining lover? 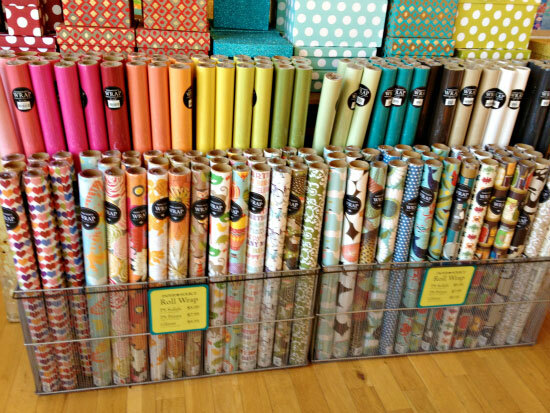 Where are your favorite spots to find pretty papers and shelf liners? Let's keep the convo going! 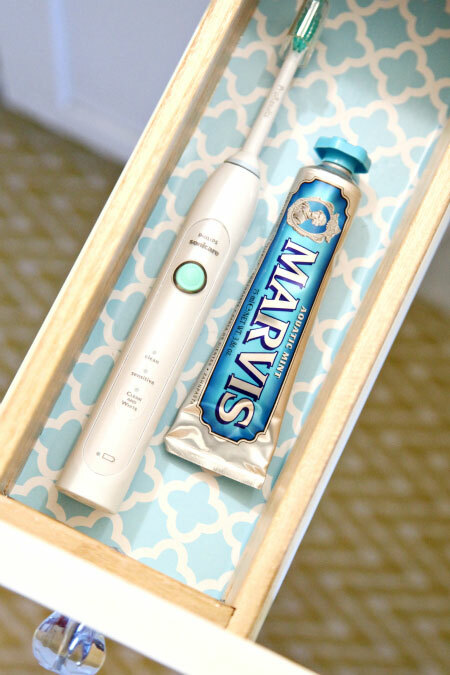 Great roundup and your lined drawers are gorgeous. I was totally giggling at the "frame worthy paper" from Paper Source, because I just did that...framed two of their beautiful pieces for art in our guest room. Thanks for introducing me to Mara Mi, too. I must figure out something to do with some of their paper. So great to see a modern bright yellow pattern! Thanks for sharing! I have ugly liner in my dresser right now. I plan to paint my dresser and now I know where to get colorful lining! I do plan on doing my kitchen and bathroom - I think it just adds this POP that we all need sometime! LOVE THIS! 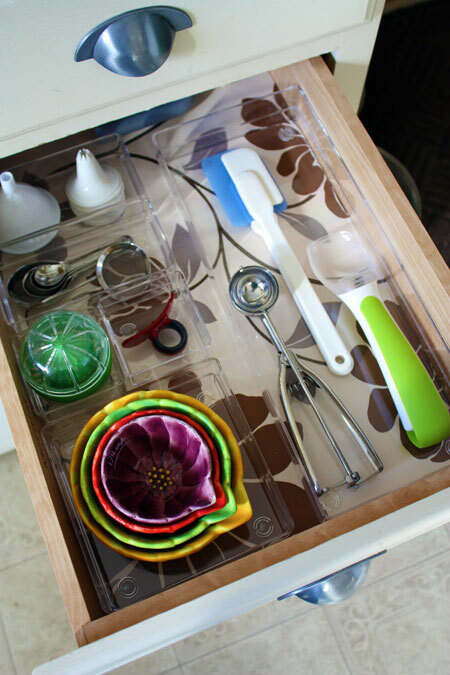 I only line my kitchen drawers, and always with paper towels... this is much nicer! On my too do list for sure! I have no idea where first I came across Elum paper, (could it have even been your blog last fall? ), but they also have a gorgeous selection at their online store www.elumdesigns.com under "paper and gifts" They sell to stores all over the place too, but their complete selection is online. I hope you're getting some rest!! 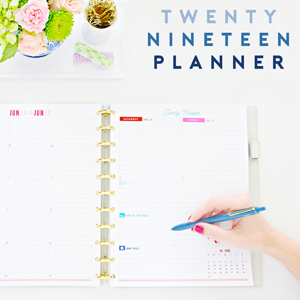 Wow, those papers are gorg! Thanks so much for sharing the link! Just a quick bit of advice on color though: Although I can't speak for all their patterns, I will say that their color "seedling green" which looks soft and pastel online is very different from soft and pastel. It's quite bold. It's even on the bright side of an Irish green. Not at all unpalatable, but it is just not represented well in the picture. Many others are represented just fine, so it doesn't seem to be a problem across the board. I love the look of lined drawers. 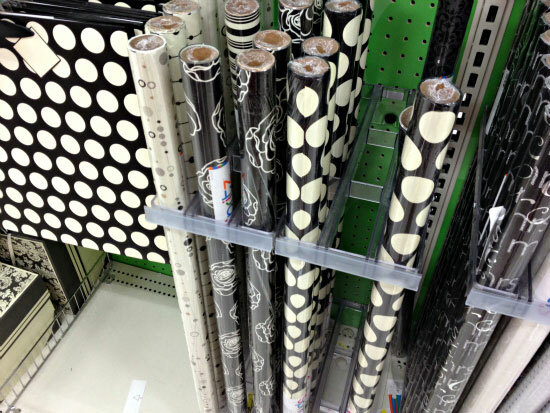 I'm a big fan of patterned contact paper and I can usually find fun patterns at the Dollar General. We live in a small town so our options are pretty limited. Very inspiring! Now I need to go line the baby's drawers! I have lined a drawer in my desk with that fish paper from the Paper Source! I used paper Mod Podge and it's holding up well! It it important to choose the right kind of paper, but I find that a mix of Elmer's glue and water instead of Mod Podge dries nicer and prevents wrinkles. You can also clear coat it with a spray that leaves a beautiful shiny finish. Ahhhhhhhhh! Seriously. All of that gorgeous paper is making me giddy. 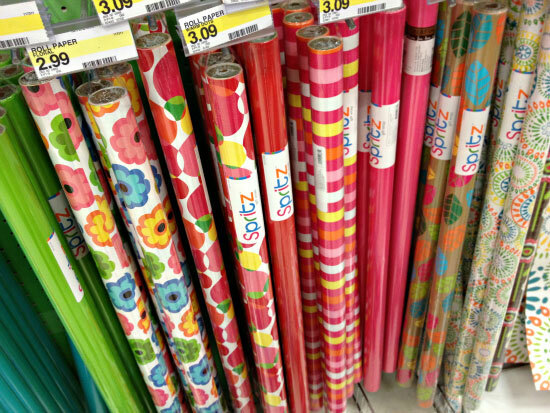 I don't think we have that paper store and now I am super upset about it. I am huge fan of lining as well. And love framing that pretty paper for large spaces. I line my drawers with wrapping paper too, but with a twist: I use clear contact shelf liner (also known/used as a clear book cover for schoolbooks) and stick it on top of my wrapping paper. This makes the wrapping paper a lot stronger, and you can wipe it off with a damp cloth with no problem!! OK, that is genius! Thanks so much for sharing, you just made my day so much brighter, lol! Love Paper Source! I framed some of their pricier paper and it's now art above our TV. 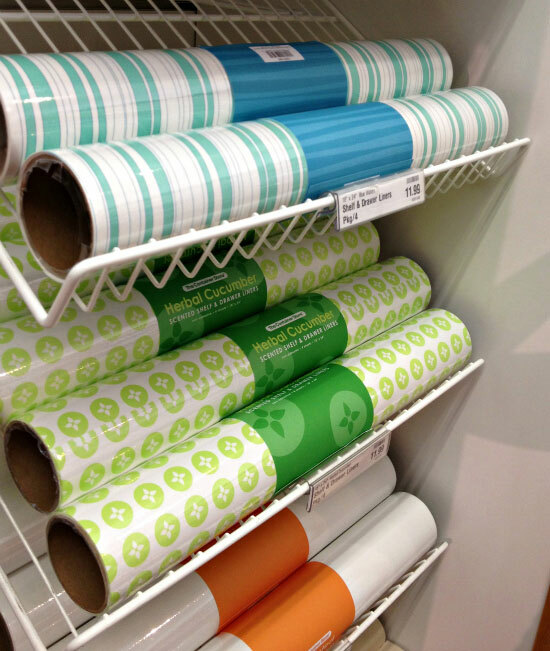 They have this great goldfish paper on a roll (a bit cheaper) that I used to line the back of my son's bookcase, too. Now I think I'll use the leftovers to line the drawers of his (new to him) dresser for his "big boy bed" transition. I have used spray adhesive to adhere the paper to either poster board or foam board cut to the inside dimensions of my drawers, this allows me to take it out without damaging the bottom of the drawer should it get worn or if I change my mind (which is often). That is really really smart! I change my mind often also, so this is a great solution! Thanks so much! This is so funny, I just lined a wall at the back of my pantry with a wrapping paper from Target shown in one of your pictures. It's such a great, cheap way to "pretty up" a space! I always buy from dollar tree. In terms of total length of the paper, is it more worth buying from target and walmart, or the latter too got more selection but more pricy? It really all depends on the project and how much I need. It seems that no matter where I shop, it is necessary to check the amount of paper on the roll, since it never seems consistent, even within the same store. I use a straight edge to draw the measurements/lines and then just cut with regular ol' scissors. I always find paper in marshalls but never line mine. This makes me want too! I am your newest follower. I cannot wait to read more of your posts and hope that maybe you can return the favor and follow The Preppy Student. I always comment for every comment left on my page and hope to start a friendly relationship with your wonderful blog! Have a happy Tuesday and be sure to check out my low entry giveaway ending soon :). I was just wondering if you ever have the problem of the ink from the paper being transfered to your clothes? I am nervous about this. Therefore, I think I might put a clear contact paper over the colored paper to prevent any transfer of in onto my clothes. How ironic. I was just coming to pull up one of your old posts where you lined drawers to see what kind of paper you use, and here it is as the post of the day. Awesome. 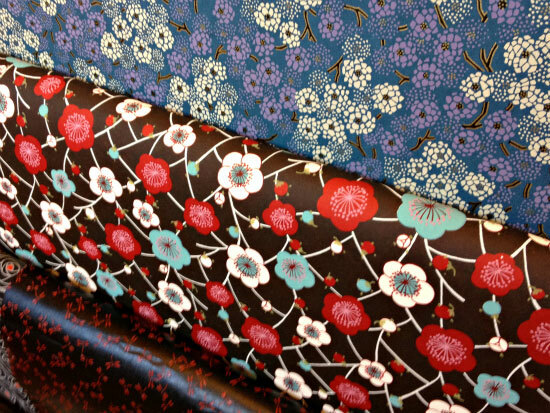 I saw some pretty gift wrapping paper yesterday while I was out and wasn't sure if it would work. Now I know. I love your blog Jen! LOVE this post! 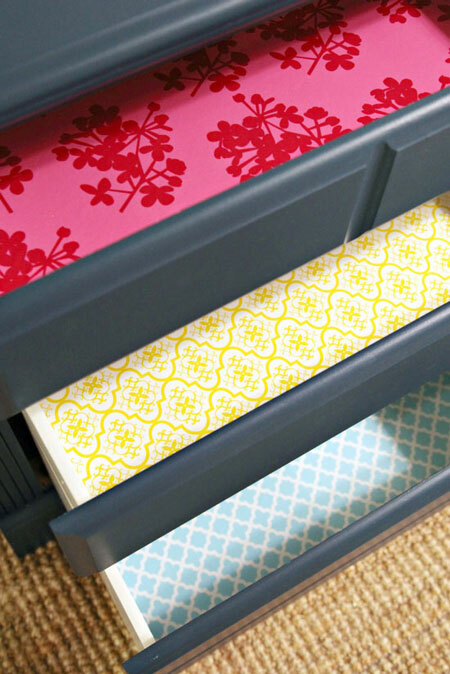 I have always thought it was awesome that you line your drawers with such fun papers, but haven't had much luck finding cute ones at my local target or even our container store. I will definitely have to check out that Paper Source and see if there is one near me! I am getting new kitchen cabinets this week! After reading this post I am thinking about lining all of the drawers with wrapping paper covered with clear shelf liner and then double stick them into place. thoughts? Ideas for shelves and bottoms of cabinets to protect them? I saw someone use self adhesive tiles on the bottom of cabinets... as for shelves, I am worried if I used wrapping paper taped down that the edges would curl up over time... Any ideas? Thanks!!! Great post!! 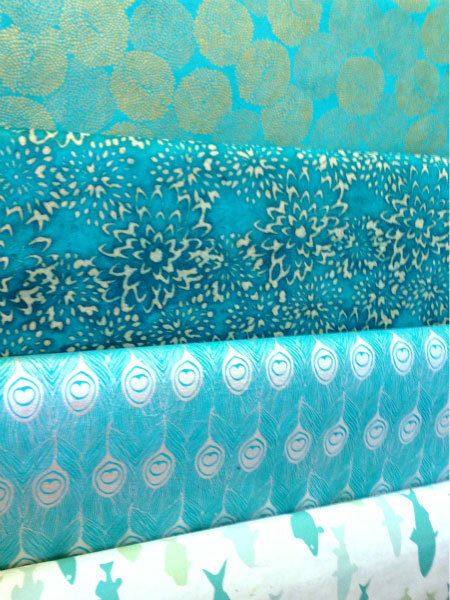 I have used liner, wallpaper, etc but my favorite is actually fabric! Buy any cotton fabric and soak it in liquid starch - line your drawers and let it dry. Then use a razor to cut the edges perfect. It sticks until you pull it up and leaves a clean surface underneath. 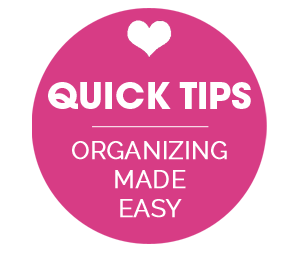 When the drawers get dirty or there is a spill - If you wash the fabric first, you can actually take it out of the drawers, wash it, re-starch it and put it back clean without having to resize it. 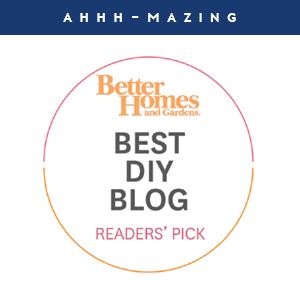 You could always trim a bit off your drawer dimensions to factor in the edging of laminate, and put your pretty paper through a laminator before placing it in your drawer. The weight of the lamination should be enough to leep it 'down' as well allow one to clean up easily if there is a spill or mishap! That is such a fab idea for smaller areas!! 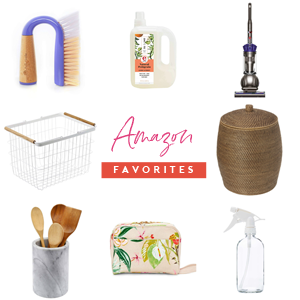 This is such a fun post! Thanks for all of the resources! Such a good idea! I have refurbished a desk a few months ago and my husband and I are in the process of finishing our home office/craft room. We are always trying to find ways to pinch pennies without skimping on the overall "look" of a room - so I think using these peek-a-boo touches of prettiness is right up my alley! Thanks so much for sharing. Im in the process of renovating my kitchen (and my whole house as we just moved in) and the shelves are a little worse for wear - in one case the previous owner have used a piece of unfinished wood inside as a shelf. This has given me soooo much inspiration to correct the shelves and make them look pretty. 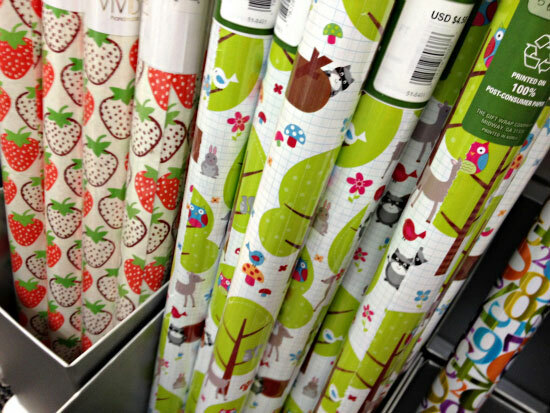 Im in the UK so my next job is to find some pretty paper, im thinking the thicker the better? We're just about to move and with all of my penny-pinching, we still are wondering how we can make this very large house a home with what little we have. This is a GREAT start, and something I was interested in from earlier articles on your blog - but I was not sure how to pull the trigger (I love the fabric idea the most, since I have so much already)Thanks to you and your fans, your blog is my one stop shop to try to improve just about every area of my move and we'll have a beautiful home in no time <3 your blog helps me find a craftier me! A quick tip I use: I cut a piece of cardboard the size of the drawer, and then cover THAT in decorative paper, and pop it in the drawer. This means it's really easy to change out, doesn't damage the drawer, and, best of all, the corners never start turning up because they are wrapped around the board (I just do it like a present). I usually use wall paper, because it's so hard wearing. But it's also really expensive - so look out at thrift stores. I've found lots of rolls there lately, I always grab them up! 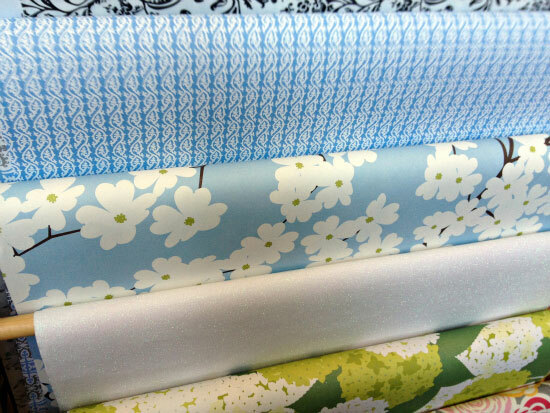 Love your drawer lining! I usually line the kitchen drawers and use some foamy rolls, but your lining is much nicer! The lining gives the drawers an extra "oumpfs"! 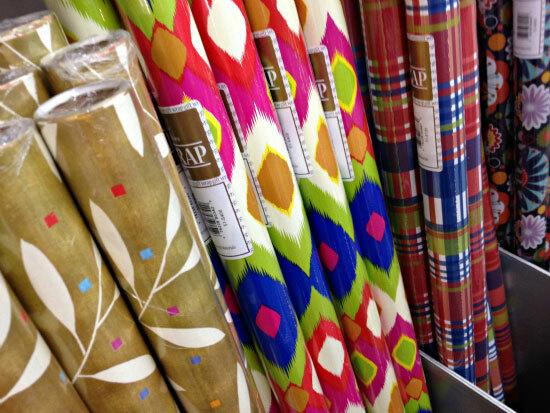 I LOVE Paper Source, I have a bunch of their paper framed as art in my dining room, bathroom, office, etc. Also, I just covered some IKEA magazine holders in Container Store wrap, and lined my dresser drawers in lavender scented paper from Home Goods - it's such a change for relatively little $! WOW!! I think you have inspired me to clear out my dresser drawers!! 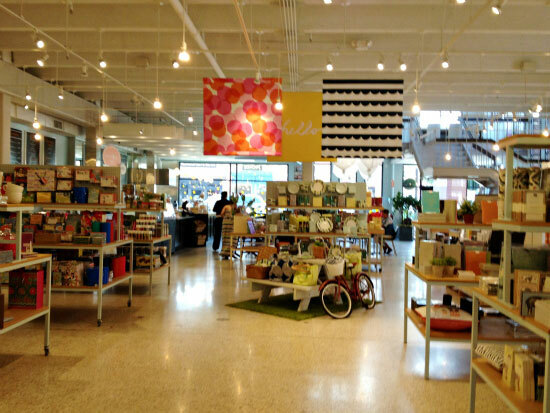 I loved the browns at the container store and the Herbal Cucumber shelf paper. Guess I will be busy this weekend!! For kitchen cabinets and drawers, my Mom taught me to use left over vinyl flooring. You know, the stuff that comes in big rolls? You can usually pick remnants up really cheap at flooring stores, but also at places like Ollie's discount. Works perfect for cabinets that might get some water in them - leaky sink pipe for example. Easy to wipe up and really protects well. So what do you use to keep the wrapping paper in the drawer? And to keep it from ripping? Love this idea. 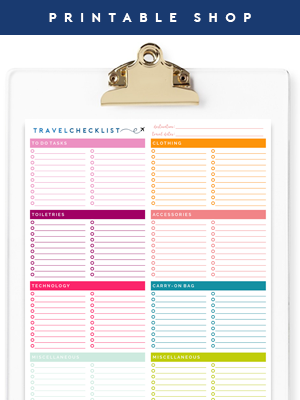 I now need to go out and buy some pretty paper and acrylic drawer dividers. Beautiful and inspiring. Such pretty papers. My dresser drawers are so full, I'd never see the paper, but just knowing it's there would be such fun. 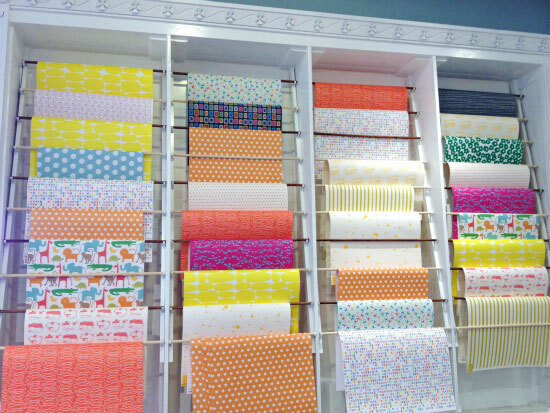 Paper stores are definitely EYE CANDY!!! My current dresser from IKEA already came with an inside design which was a nice surprise. I LOVE when I see a peek of the yellow bright design. Have been wondering THIS week about paper!!! IHeartOrganizing readers: After many failed experiments of trying to put clear contact paper over Target wrapping paper (including using spray adhesive to put the wrapping paper on poster board and then putting contact paper over _that_), I came upon my current methodology of cutting my wrapping paper to size, and then taking it to Office Depot to be laminated. I just could not get the contact paper to go on wrinkle-free!! 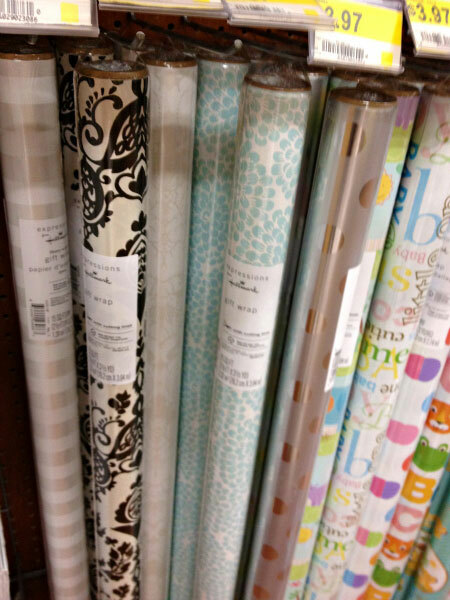 Also, I've found some beautiful paper at Hallmark and World Market. Cheers! We mod podged the inside of my daughter's drawers with cut outs of puppy dogs from magazines and colorful scrapbook papers. Turned out cute and it sealed off cracks, etc. in the old wood. My very thrifty mother, who was 80 when she died several years ago, cut up old window shades and used them to line her drawers. She also used wallpaper remnants. Cut it to size, wet the back, place it in the drawer and smooth. Here's to you, mom! Just refinished a desk for our guest room/office. Thanks for the tips....shopping local Shreveport LA for paper tomorrow!